A housing corporation established by the residents to build a new neighbourhood. The project started as an initiative of some of the Philips's engineers working in the NatLab. 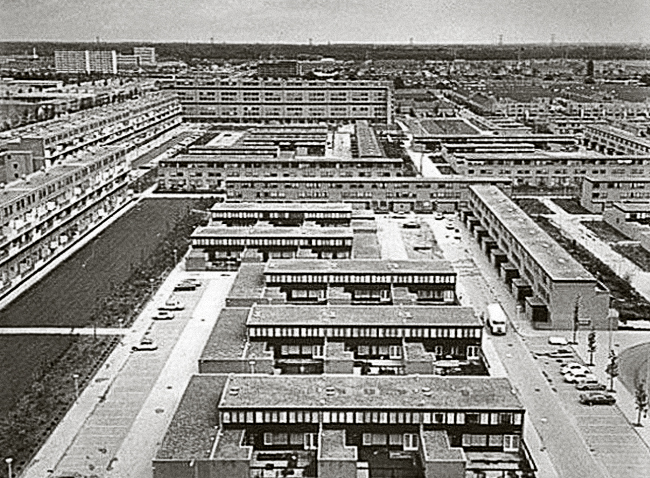 They realised that the quality of living involved more than just individual dwellings, so they established a housing corporation (Woon en Wijk) to build a new neighbourhood in Eindhoven, adapted to their needs and requirements. 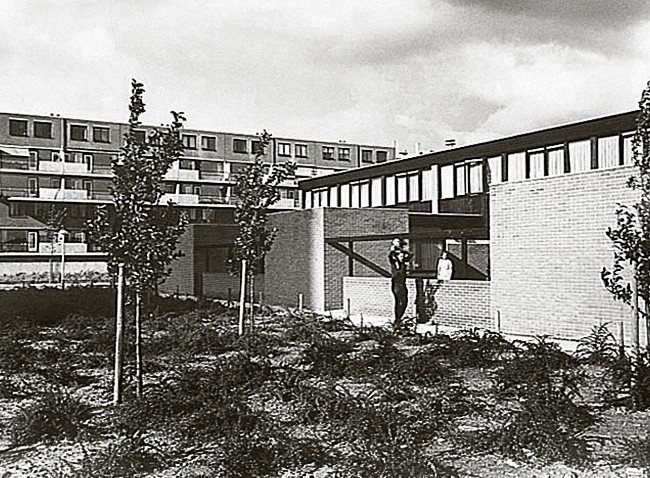 At that time, it was an unusual assignment, so after various architects had rejected the offer, they commissioned Van den Broek and J. Bakema (Team 10) who attended to their interests. Team 10 are well known for their recognition of Functionalism as a form of Humanism. 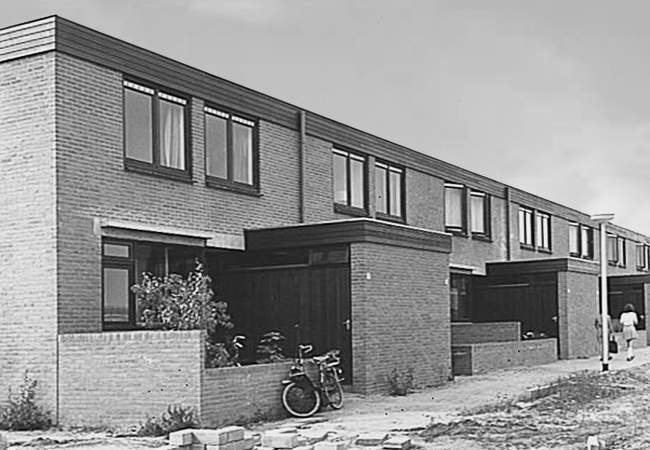 The design for 't Hool resulted in 14 housing types based on the resident's requirements taking action about the urban expansion and their environment, mainly integrating the green area into the houses. 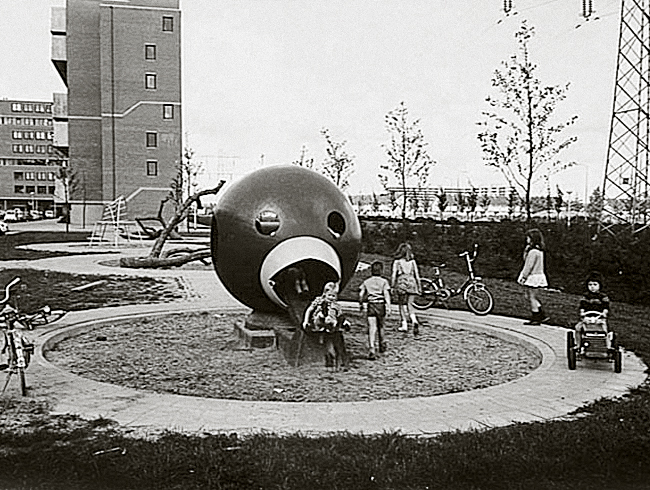 The aim was to build a whole neighbourhood adapted to the interests and needs of its inhabitants, involving them in the decision-making. It brought some alternative solutions, among them: split level apartment with the elevated street; back to back houses or a terrace dwelling. The project has been described as living under, between and on the trees (Jan Stokla).